How to Update USB Drivers on your ASUS Computer. Quickly & Easily! Comments Off on How to Update USB Drivers on your ASUS Computer. Quickly & Easily! There are three ways you can use to download ASUS USB drivers. You can download the drivers manually. Or you can download the drivers automatically. 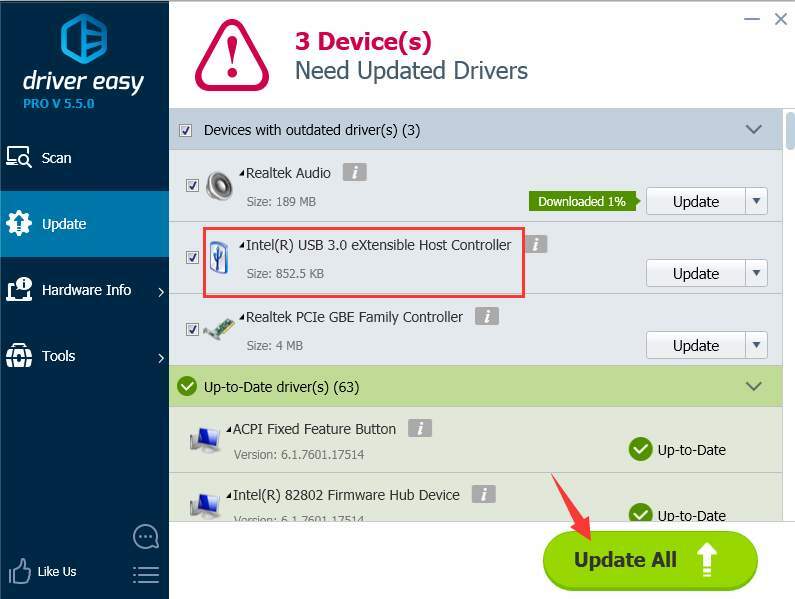 Read on to find out how you can use these three ways to download the latest USB drivers. You can go to ASUS’s website to check for and download the USB drivers. You just need to know the PC model and the version of Windows. The PC model can always be found on the PC. If you are not sure how to get the Windows version, please see How to Get Operating System Version. Refer steps below to download the drivers from ASUS website. 1. 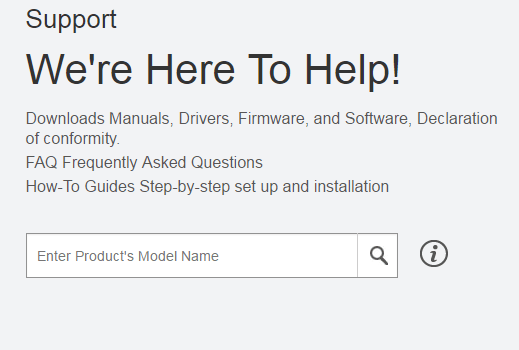 Go to ASUS’s support page. 2. Type your product model in the search box and start searching. 3. Click Driver & Tools tab. Then you can find and download the usb drivers that you need. 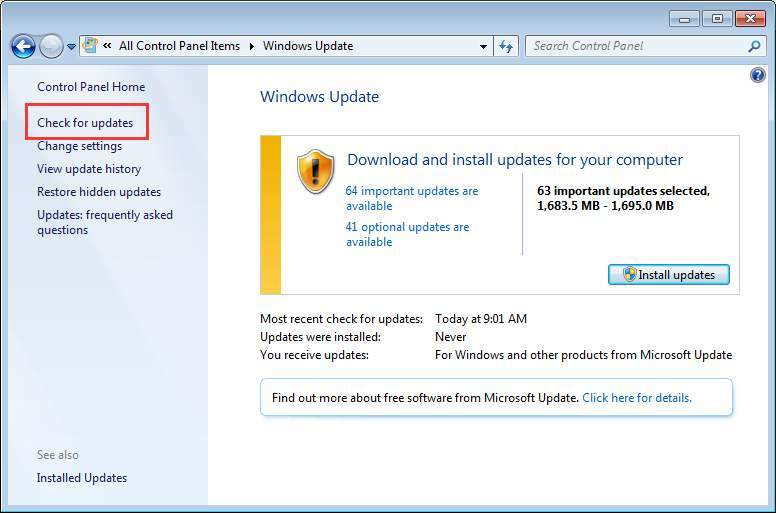 You can check for Windows Update and see if there is new usb drivers to download. Refer steps below to open Windows Update and check for driver updates. 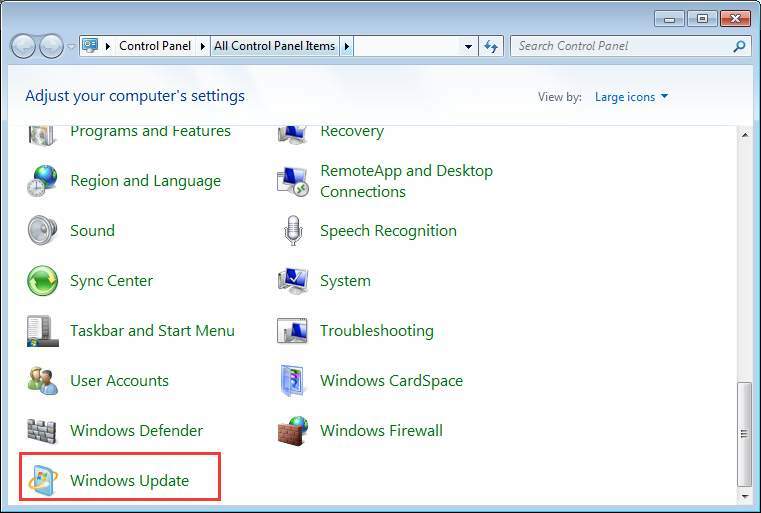 Note: If you have set Windows Update turn on automatically, this way doesn’t work for you, as Windows Update will install the usb drivers automatically if there is new usb drivers available. 2. View by Large icons and click Windows Update. 3. In left pane, click Check for updates. 4. Check for the important updates and optional updates and see if there are usb drivers that you can download. If you have difficulty downloading the drivers manually, we recommend using Driver Easy. It is a tool that detects and downloads any drivers updates your computer needs. Driver Easy has Free version and Pro version. If you go Pro, you can download and install all drivers by just clicking your mouse two times. 1.Click Scan Now button. 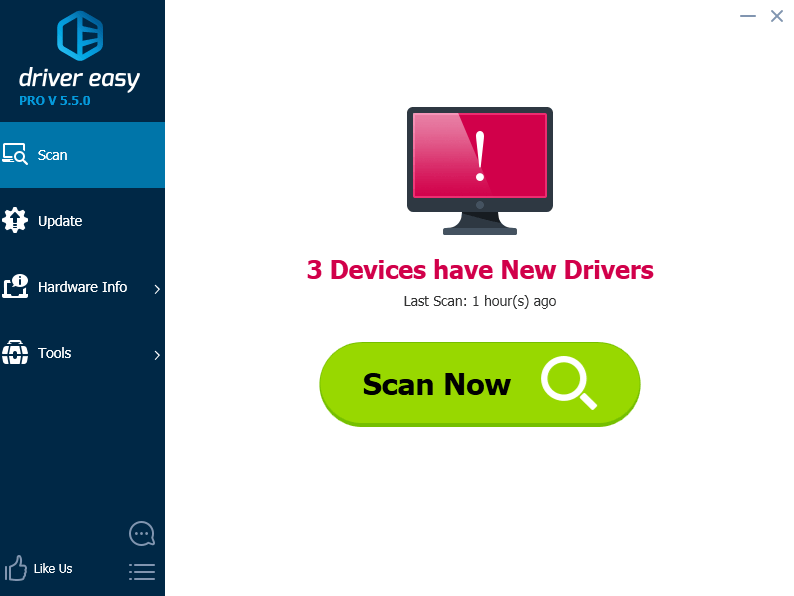 Then Driver Easy will scan your computer to detect all problem drivers. You will get a list of new drivers instantly. If you go Pro, you will enjoy free expert technical support guarantee and 30-day money back guarantee. You can ask for a full refund if you are not satisfied with the product. Download Driver Easy to have a try now.